Heartiest greetings from Bangladesh Biology Olympiad. 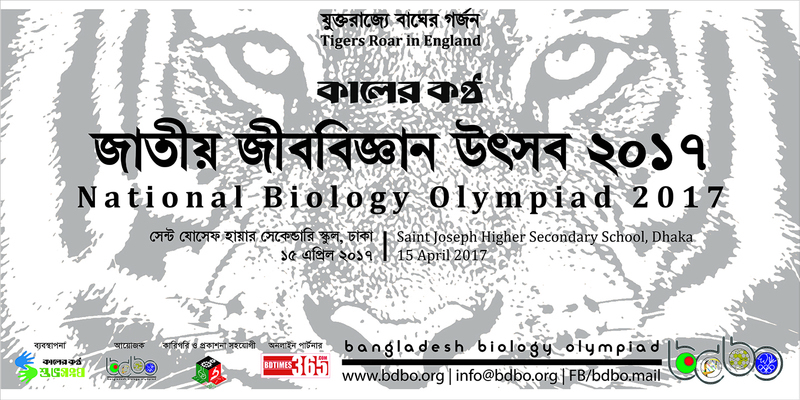 To popularize biology among students we have been continuously arranging biology olympiads in Bangladesh. As a legacy of such efforts, the Third National Biology Olympiad was arranged on 15 April (Saturday) at Saint Joseph Higher Secondary School. 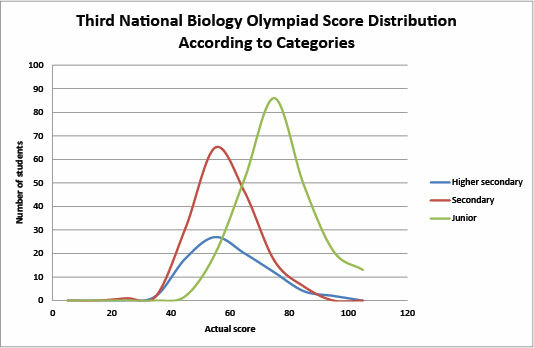 This was the second round of this year’s national team selection procedure for International Biology Olympiad (IBO). The first round was conducted at ten regions all over the country to select the brightest young minds from the widest range possible. The winners of those Regional Biology Olympiads (RBOs) were the participants at the National Biology Olympiad (NBO). Subsequently, campers of the 3rd National BioCamp are to be selected from winners of NBO. BioCamp will be the third and final round of IBO team selection. This year’s IBO will be held at UK during 23-29 July. *Standardized score is calculated using the following formula according to internationally approved system of scoring: Percent standardized score = Percentage of area under normal curve (P-value) of the z-score [(actual score of a participant minus average score of all the participants of the category) divided by (standard deviation of the scores of all the participants of the category)].